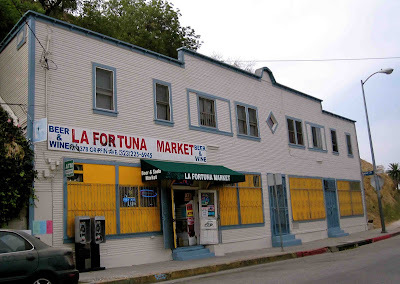 The always graffed up La Fortuna Market on Griffin undergoing a facelift the other day. 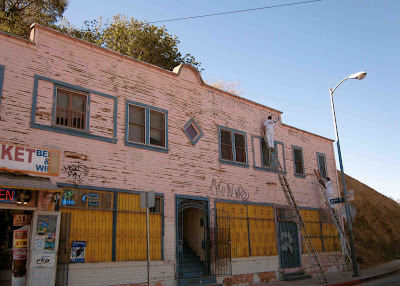 From the flaky pink paint to a nice cream color. Keep the barred windows yellow please. Perfectly named market because they'll need good luck in not getting the nice new paint to stay that way. Taggers see no colors. reverb, what is your site again, i never can find it? I remember it had an equal dislike for lame development but you had better surf pics!